61k In port, possibly at Portland, Oregon, in July 1918, when first completed by the Northwestern Steel Company, of Portland. 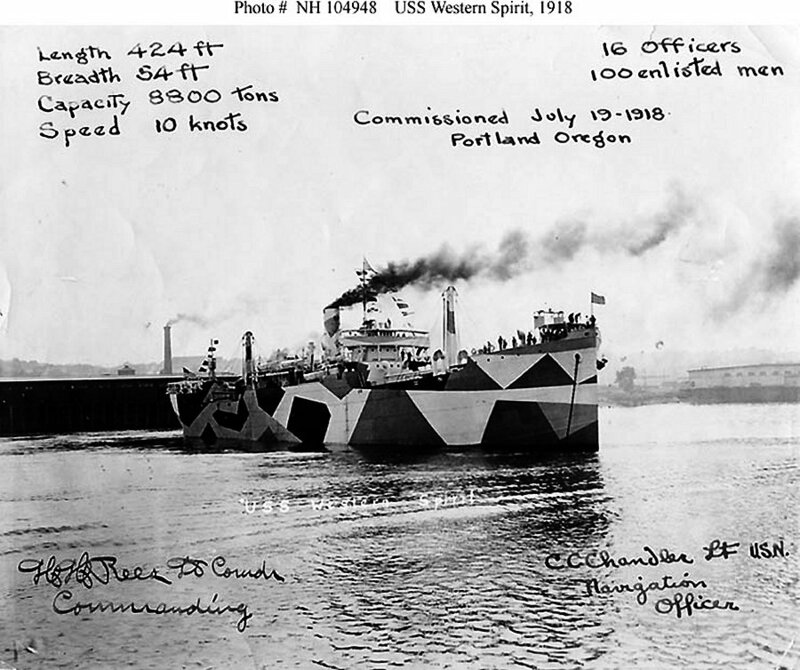 106k Photographed off the Albina Dock, Portland, Oregon, circa mid-July 1918, probably upon completion of construction by the Northwestern Steel Company, of Portland. 158k Photographed circa mid-July 1918, probably off the Albini Dock, Portland, Oregan. 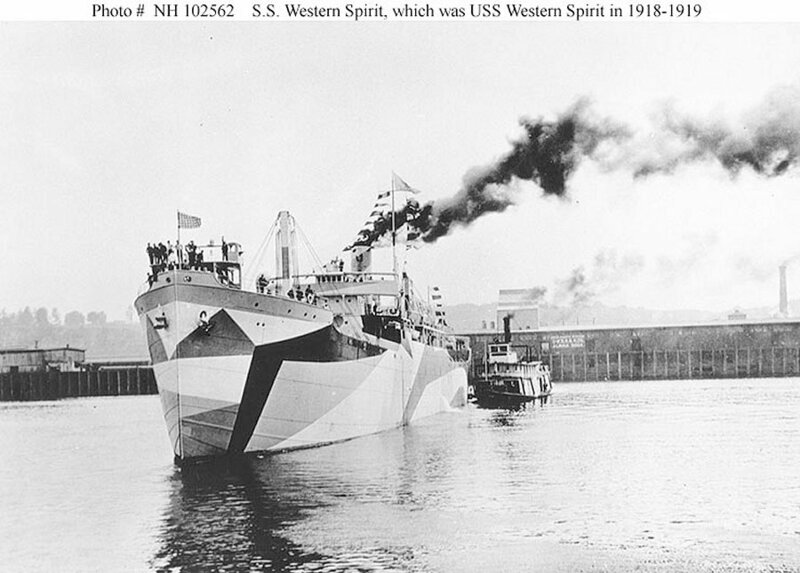 This photo may show the ship while she was still S.S. Western Spirit, at the time of her construction was completed by the Northwestern Steel Company, of Portland.